Our conversation with Rev. Nadia Bolz-Weber, a tattooed former addict who’s logged a lot of time in church basements, talking about her struggle with alcohol and desperately seeking God. 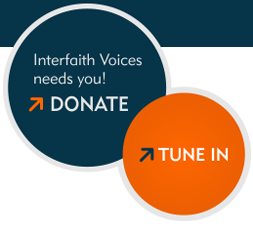 And the theological battle over Jerusalem's Temple Mount. Rev. 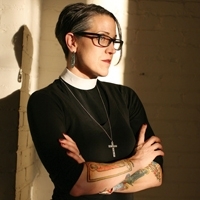 Nadia Bolz-Weber is something of an anomaly. Covered in tattoos, a former stand-up comic, and an alcoholic in recovery, she’s also an ordained Lutheran minister. She studies Scripture, quotes Martin Luther, and talks a lot about confession and absolution. Not exactly trendy topics--but her pleasantly cranky spirituality has made her a popular speaker for even the most secular audiences. Most of Rev. Bolz-Weber's tattoos are drawn from images in the Bible, including the creation story, Jesus in the desert, Mary Magdalene and the resurrected Lazarus. The race for the presidency is in full gear--and so are the political mud-slinging, name-calling and other indecencies we’ve all come to expect in these campaigns. Is there anything we can do about it? We talk to former Senator John Danforth--an ordained Episcopal priest--about how religious values like compromise and humility can lead us out of the gridlock. A new wave of violence between Israelis and Palestinians is linked to one of the most contested pieces of property in the world: known as the Temple Mount to Jews and Haram al-Sharif to Muslims. A centerpiece of the Israeli-Palestinian conflict, it's the holiest site in all of Judaism and the third holiest in Islam.